THE CHANCE OF A LIFETIME. Lot 4 Dayrell Rd Nowergup. Own this magnificent unique 20 acrea property and enjoy a rural lifestyle in a city environment. This property with 2 modest dwellings would suit 2 families who not only wish a wonderful lifestyle but to make a fabulous income as well. This property producers mangoes and passion fruit. 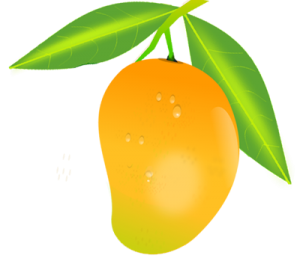 Mango production 15 – 28 tonnes with modern retail area catering for pick your own mangoes. Processing areas, cool rooms, freezer rooms to value add wind fall fruit into confectionary, sauces and chutneys. Nearly 2km of modern trellis set up for passion fruit production. Propagating and selling mango trees for the retail market. This property because of its location (48kms from G.P.O. Perth 1km from Wanneroo Rd and bus stop, 2kms from 24 hour service station, 3 kms from proposed free way off ramp, 4 kms from Merriwa shopping centre, 6 kms from 24 hour MacDonalds, 8kms from Quinns beach and nearly completed Butler train station) is idealy situated close to public transport for the development of a bird and animal park, tea rooms and restaurant. For the astute investor… Application is before the City of Wanneroo to apply for an amendment to the zoning to permit a caravan park / low cost temporary accommodation business. This 20 acrea property has the size the location to fit all the necessary govt guide lines for a 300 bay caravan park. Much of the infrastructure is in place. 100 bays amongst mango trees. 20 short term long bays. Internet services, shower and laundry, sick bay with registered nurse, fresh supplies, Swimming pool and recreation facilities, a great stop to brush the dust off. Once established the returns are staggering..
70% capacity (5 days out of 7).Average daily rate $40. So 150 x $40 x 365 = $2,136,000. @ 70% = $1,495,000. Less projected running costs $500, 000. Profit around $1 million per year. Stage 1 will take 12 months to complete and cost around $600,000. So total outlay, owning this magnificent property $3 million. EARNING $1 MILLION P/A YOUR CAPITAL IS RETURNED IN 4 years. Invest $3 million for 1 year to make $1 million per year from then on. One of the few recession proof businesses. I would be interested in a 50% partnership.